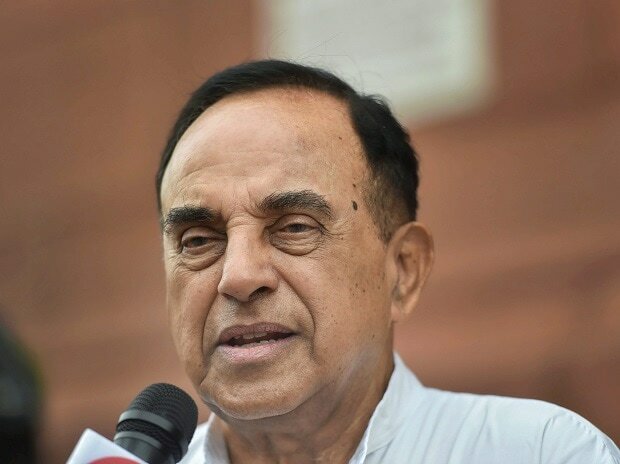 A day after Vijay Mallya claimed that he met Union Finance Minister Arun Jaitley before leaving for London, Bharatiya Janata Party (BJP) leader Subramanian Swamy said that a lookout notice against the fugitive liquor baron was diluted from "Block" to "Report" which helped in his departure. Swamy tweeted: "We have now two undeniable facts on the Mallya escape issue: 1. Look Out Notice was diluted on Oct 24, 2015 from "Block" to "Report" departure enabling Mallya to depart with 54 checked luggage items. 2. Mallya told FM in Central Hall of Parliament that he was leaving for London." Swamy also claimed that the dilution had been done at a very high level. The BJP leader requested Prime Minister Narendra Modi to enquire about the matter. "Vijay Mallya could not have left the country if the lookout notice had not been watered down. Originally, the lookout notice for him was to stop him and hand him over to the police. The immigration authorities were directed to do that. But suddenly it was diluted to report Mallya's departure," Swamy said while speaking to ANI. "This dilution must have been done at a very high level. It needs to be investigated. Prime Minister should personally look into the inquiry otherwise this will taint the reputation of the party," he added. On Wednesday, Mallya, who left India in March 2016, claimed that he had met the Finance Minister before leaving for London. "I met the Finance Minister before I left," Mallya claimed outside Westminster Magistrates' Court where his extradition case is being heard. Mallya is wanted in India for allegedly defaulting on bank loans to the tune of Rs 9,000 crore. Rebutting Mallya's claims, Jaitley told ANI on Wednesday: "I have seen the statement of Vijay Mallya where he claims to have met me with an offer of settlement. Nothing could be further from truth. I never gave him (Mallya) an appointment, never at my office, never at my residence. Nor I was ever offered to meet him." Recalling an instance Jaitley said: "I do remember on one occasion, he misused his privileges of Member of Rajya Sabha and while I was walking from the Rajya Sabha to my room and (he) suggested that he was going to make some offer of settlement. I did not even bother to get details from him.